Finally get some crafting time today. 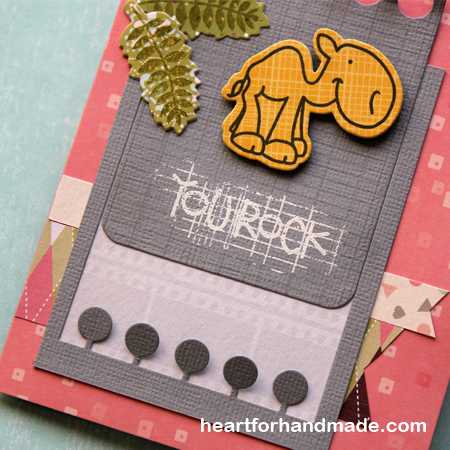 I got some new die from Paper Smooches and a new Ledger background stamp from Sarah Hurley, I used them both here to create a rockin’ card for the month of March Designer Draft Challenge. I used the Notebook basic die from PS and stamped the background with Sarah’s ledger stamp using Versamark ink for texture. 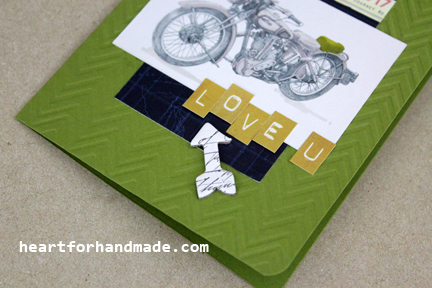 I stamped the sentiment as well using white embossing powder. I totally forgot that I also use Versamark in the background and had some parts of the background sticking out in the sentiment area. I find the effect great so I just leave it with some powder too to emboss. Love how it turned out. I die cut the leaves as well and used the negative part of the notebook to be part of the design. I’m entering this card also in Through The Craft Room Door, Anything Goes challenge. and The Crafting Cafe, Clean and Simple challenge. 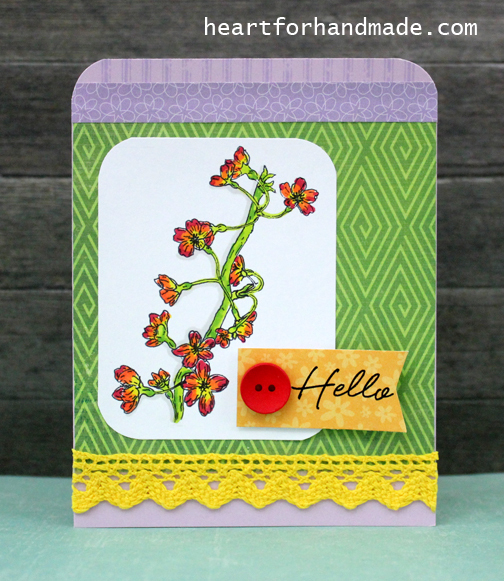 Summer is the time when bright flowers bloom so I used the Blossom digi image from LEJ Designs. I colored them with Promarkers and added a crochet ribbon strip to complement the flower colors. The challenge ends until end of July so do check The Crafting Café for inspiration or play along. 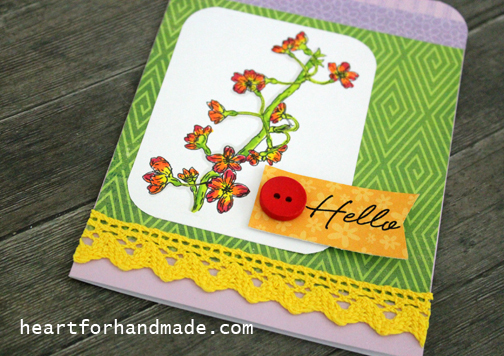 I’m entering this card in Through The Craftroom Door Challenge Blog, Anything Goes challenge. Also, in Divas by Design, Anything Goes challenge. A masculine card for today. The same month’s challenge theme, Here Comes the Boys at The Crafting Café blog. I used the digi image, Vintage Norton from Delicious Doodles. I love the image in itself so I did very minimal coloring with my Promarkers. 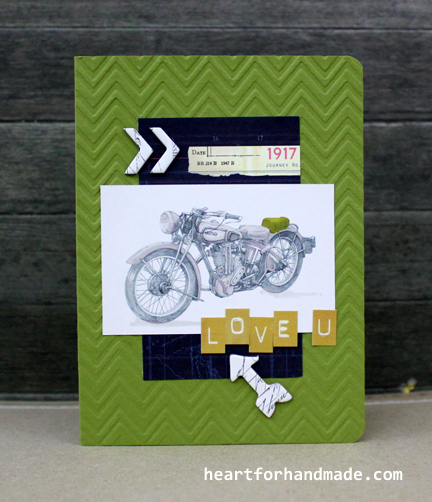 The background was embossed with chevron with minimal embellishment overall. There’s still time to play at this month’s challenge at The Crafting Café blog so be sure check them out too. I’m entering this card to Party Time Tuesday’s challenge, Anything Goes. Life is like riding a bicycle..
Hello there! 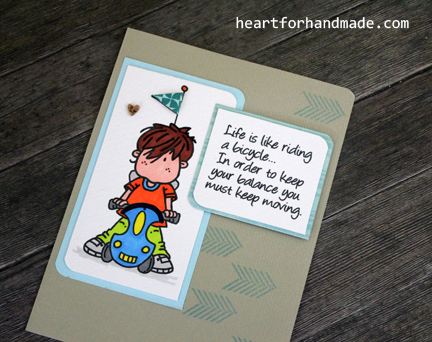 I’m sharing a card today using a digi stamp from Bugaboo stamps called Bugaboo Brat – riding a bike. 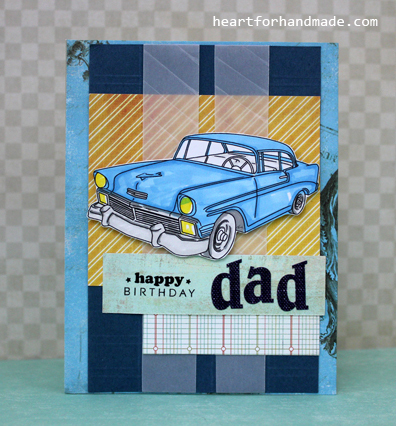 You can check out my post at The Crafting Cade blog for this month’s challenge. I colored the image with Promarkers and did minimal stamping too at the background. 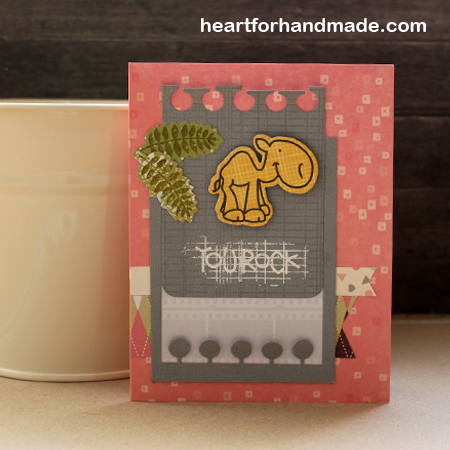 Today’s card image is from the Crafty Sentiments Designs. You can see my post as well here. This month’s challenge, Let’s celebrate at The Crafting Cafe is ongoing so be sure to drop by at their blog to participate or get some inspirations too. This card is a celebration of life itself. I colored the image with Promarkers, embossed part of the card base and added some buttons for color and texture. I’m entering this card in Simon Says Stamp, Anything Goes challenge. March is the birthday month for my dearest Dad. And today’s card is just perfect for him don’t you think? I used the digi image Vintage Chevy from Delicious Doodles. 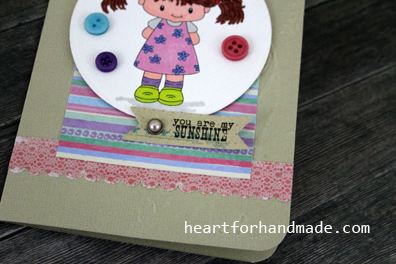 This is an entry at The Crafting Cafe blog’s March challenge to use Your Favorite Colour. There’s still time to play along til end of the month so you can still join in. For the image, I colored the chevy with Promarkers, used random papers for the background and added two strips of vellum with scored lines for some texture. 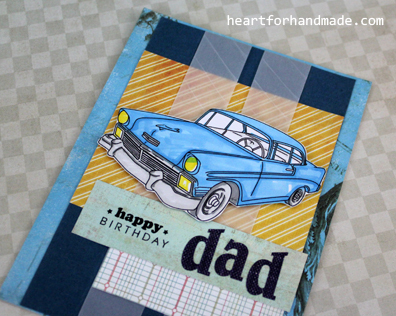 The sentiment is from Papertrey Ink and the word ‘dad’ from my sticker stash. I’m entering this card at Simon Says Stamp, Anything goes challenge. Also entering this card in Charisma Cardz Challenges # 12, Happy Birthday. 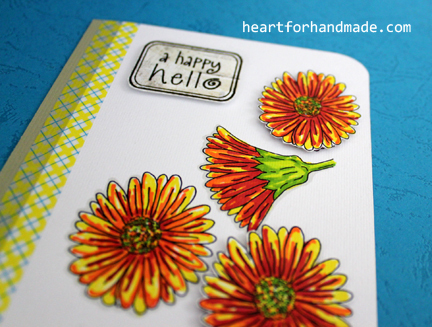 For today, I’m sharing my take for the first challenge post for the month using LEJ Designs digistamp called Daisies. This image is from their Floral and Nature digi stamps. I used Promarkers to color the Daisies, cut the two images on the right then popped them out in the card using foam square for added dimension. I’m entering this card in Muse challenge # 6. 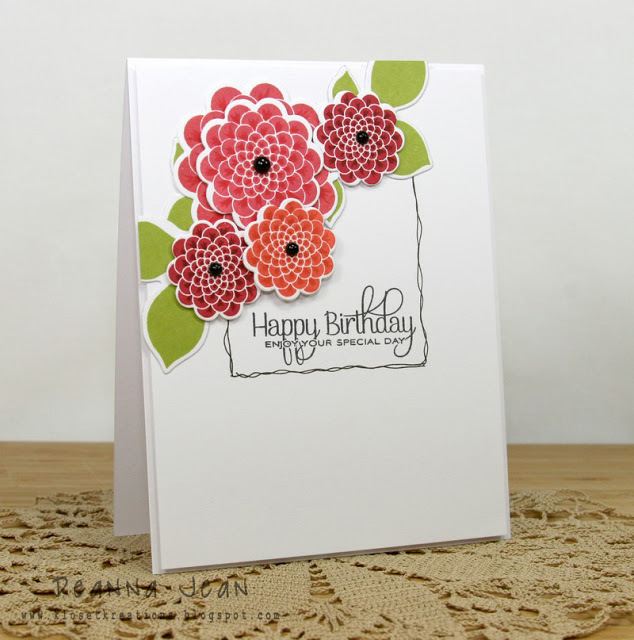 The flower images in the Muse challenge is just perfect match for my flower Daisies which is the main focal point of the card. My card interpretation apparently uses the same inspiration as the flowers from Monday Muse Deanna. 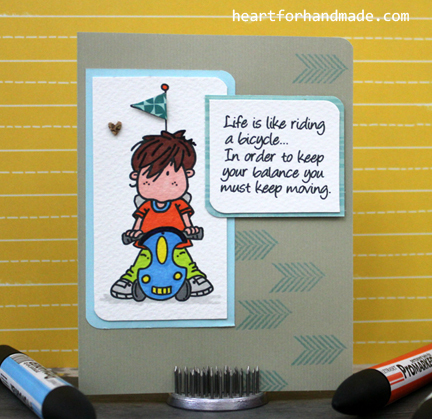 This card will be entered too at Party Time Tuesday’s Challenge blog, PTT # 109, Anything Goes challenge. 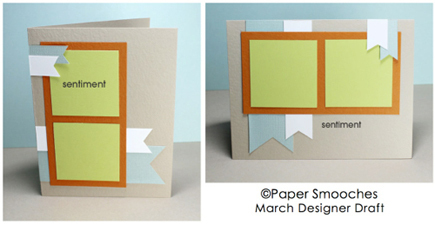 I love papercrafts and I do handmade cards, invitations, crafts and sewing projects as a hobby. I have a special interest in photography, do travel once in a while and sometimes just sitting around reading a good book. Thanks for stopping by.